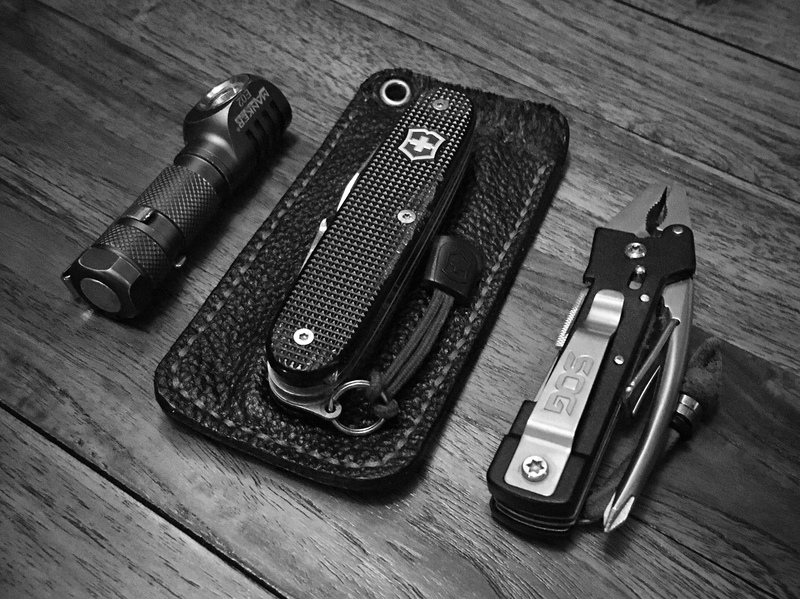 Show Us Your EDC gear!!! 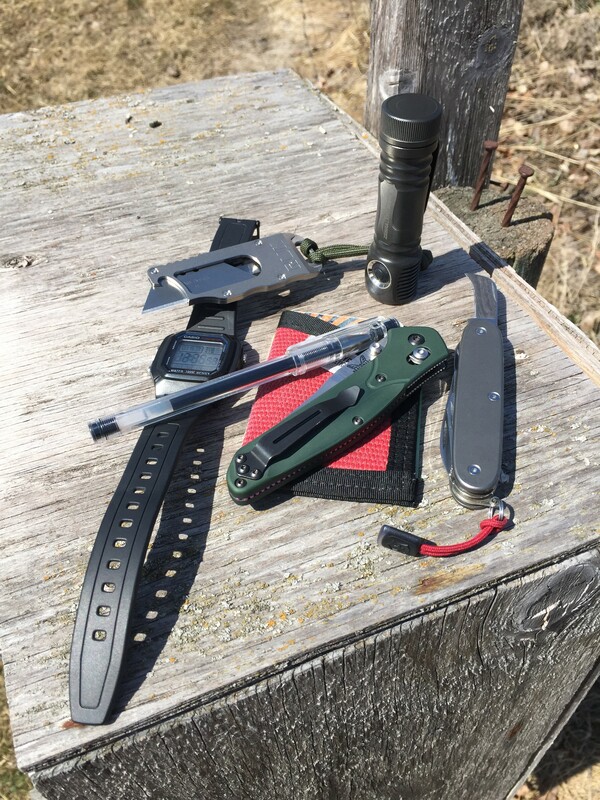 Re: Show Us Your EDC gear!!! Nasty little guy, I like how the thumb can put all pressure to the point, just too small for me..
Well yeah I figured cool for your laws to carry.. Cool gadget, but nothing more. Good luck peeling an apple with that. "Never pick a fight with an old man. If he's too old to fight, he'll just kill you." 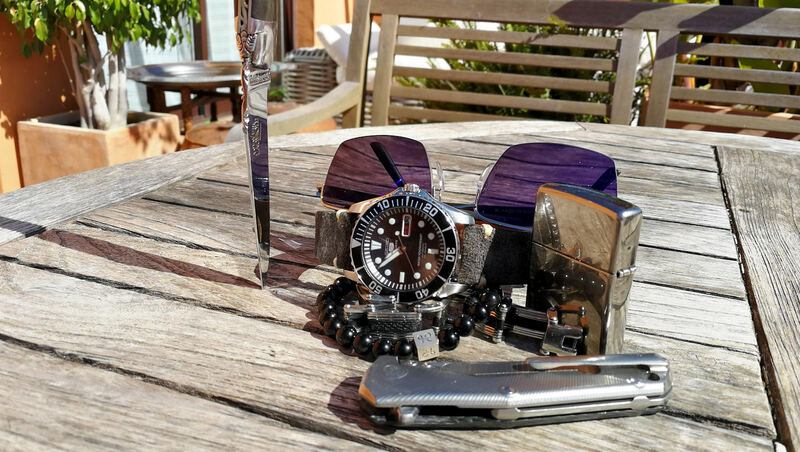 Nice pic and carry items! I dont see many wallet holsters for the LCP either do you? 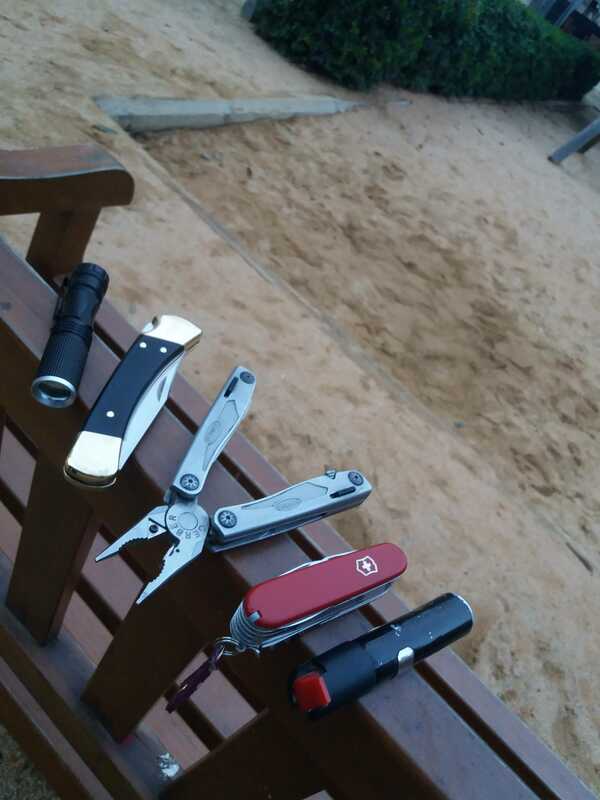 Mine is from Bear Creek Holsters - New Braunfels, TX and is about 5 years old. Doug makes excellent holsters and is a great guy to work with. Are you participating in the HF NA SSB Sprint this evening? 40M looks pretty busy. 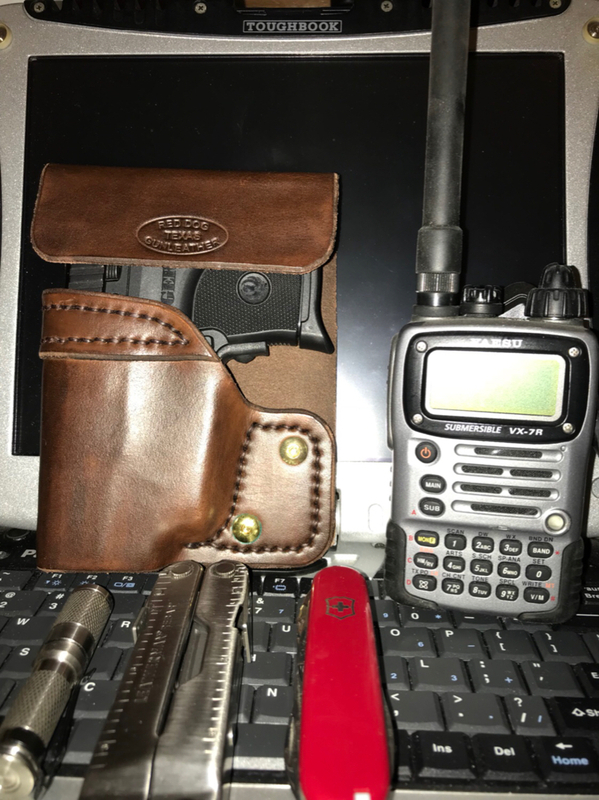 Mine is from Jim at Red Dog Gun Leather in Commanche,I have a few from him and I am really happy with his as well. And no I have other plans I am told for Tonight? 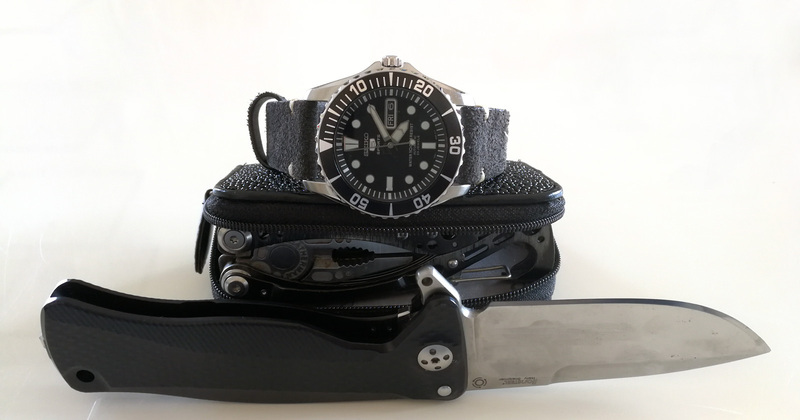 My EDC as of late. Does everything I need it to! 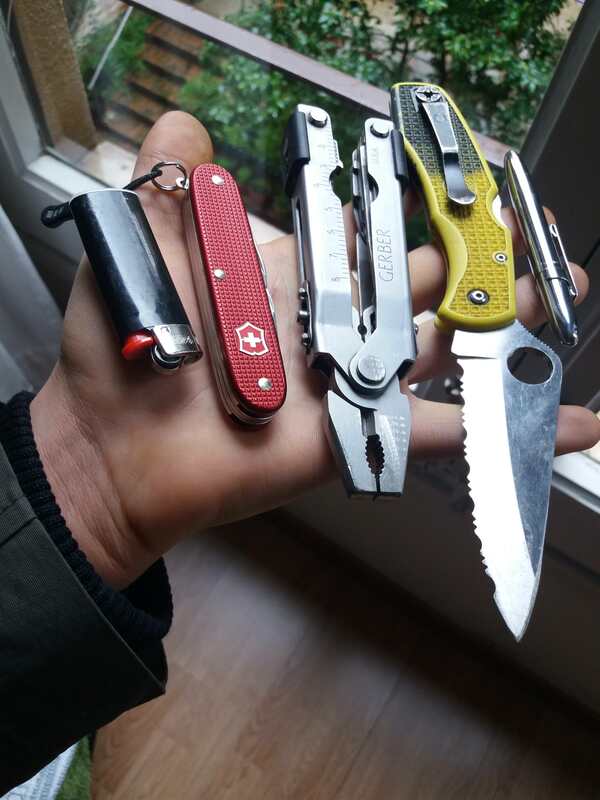 Um no, speaking of which I just squashed one, not a bright green bug but an ant..
Today's carry. More loaded than usual with all the pipe stuff. Big Red I am going to need some info about that beautiful pocket holster for your LCP. Thanks guys,it was a gift from a friend in Ireland little pocket cleaver from CT SMART KE61 D2 STEEL version. Never heard of it. Pretty cool, sounds like something you can forget in your pocket but able to take on some heavy duty cutting if need be.